It happens in every book I write. That moment somewhere in the middle of the current work in progress (WIP) where I become convinced that I have no clue what I’m doing. I’m a fraud who just got lucky creating those earlier books. I’ve lost my ability to tell stories. Heck, I’ve lost the ability to put together a cohesive paragraph! I need to trash this book and start over. I lost most of last week being mired in this mindset. I was halfway through a scene featuring Chief of Police Pete Adams and kept staring at the same page. On my legal notepad, I scrawled “What does Pete want?” Then I stared at it for a while to give my eyes a break. After days of being creatively paralyzed, I remembered the advice I always give to other similarly stalled writers. Not to your reader. If you’re writing a whodunit—or even if you aren’t—you’ll want to keep these conversations private. Here’s the thing: we, as mystery authors, need to know what’s going on behind the scenes. We need to know what our conniving villain is doing to throw roadblocks at our hero. We need to know what our hero doesn’t. This trick can still apply to you seat-of-the-pants (pantser) writers out there because you can use it for all your suspects who MAY turn out to be the villain. I opened a new document and asked my antagonist to tell me his (or her) story. In his voice. Since I write mysteries with dual POV protagonists, the bad guys and suspects don’t get to share their points of view on the page, so they’re usually very eager to talk to me and share their perspective. 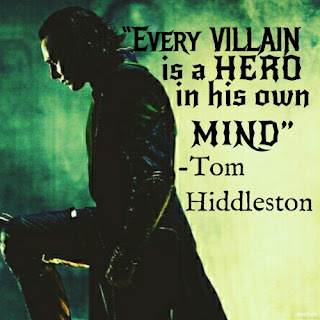 Remember, every villain is the hero of their own story and believes what they’re doing is right and justified. It can be—dare I say it?—fun and therapeutic to climb into a fictional criminal’s head for a few hours. I also use this exercise to establish a timeline for all the illegal activities my suspects and red herrings might get into. I “wasted” two days on this exercise, the product of which will never be seen by anyone but me. However, considering I immediately dove back into my WIP with a new zest, it was hardly a waste. I saved the documents and will refer back to them frequently as I complete this manuscript. Yes, the one I was convinced a week ago should be tossed in the trash. Do any of you fall victim to the “I’m a fraud” syndrome? Do you have any tricks or words of wisdom for working through those bleak moments? I love your "let the villain speak" moment. Always works when I'm stuck. I have several chats with the villain while I'm writing. After all, it's HIS/HER story. Good advice, Annette. I'll have to have a conversation with my villain. Since I'm a plotter and have a rough outline of my story, if I get stuck, I pick a scene further along in the story and work on that. Sometimes doing that ideas pop into my head that I can use earlier in the story. What a great idea! Thanks for this. Although I listen to the voices of my characters, particularly the protagonist, I really haven't had a planned conversation with the villain …. something that is overdue in the book I'm working on :). Liz, you and I have had many discussions about this little trick. Glad it helps! Grace, Marilyn, and Debra, you really need to try it. I learn some amazing things every single time I do. Great idea. 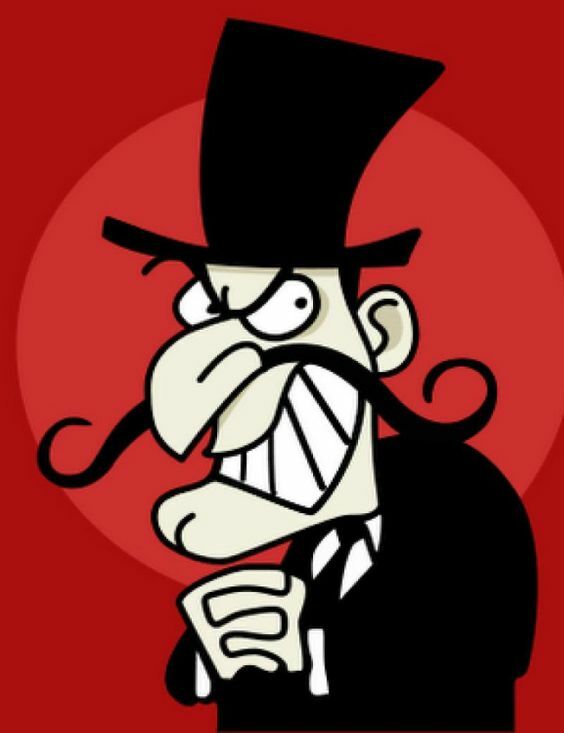 The villain is seldom a totally evil character, and even if he/she is, it's because of psychological reasons. Knowing how/why the villain operates certainly enhances the story. Totally evil villains are boring. What a good idea. All the time, Annette. But you've been nominated for an Agatha four times. If it can happen to you--I feel better about me thinking I'm a fraud! I'll go talk with my killer. There's never a good reason to kill, but I do feel a bit sorry for him. You are so right, Mary. I've been known to fall a little bit in love with some of my villains. E.B., feeling like a fraud is a natural part of a writer's life. Just keep on writing! And I prefer a villain that has some sympathetic, even redeeming, features. Much better than a cardboard baddie. now make each of these guys possible villains and get on with my book. Glad you found my post helpful, Gloria.